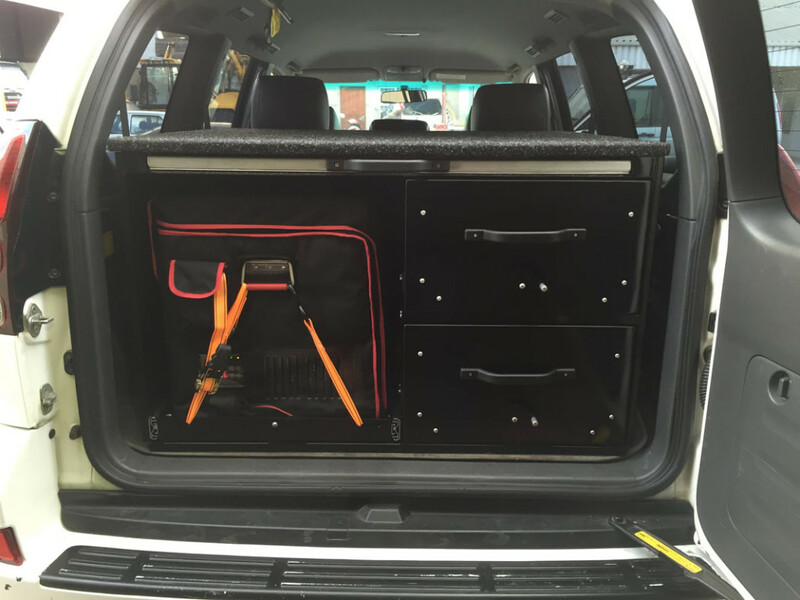 Drawer systems have revolutionised the way 4×4’s are used. 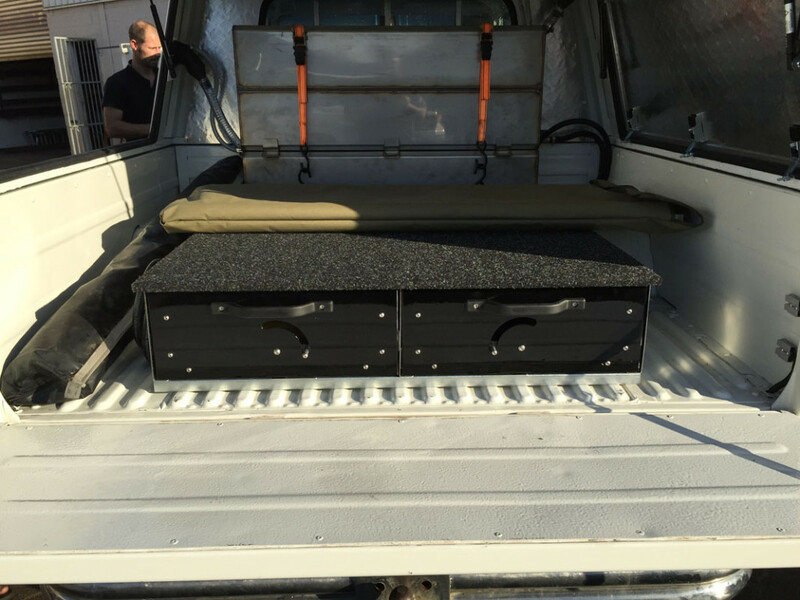 For touring and overlanding in a double cab bakkie or an SUV, a drawer system to keep all your gear organised is non-negotiable. Made from materials of the highest quality, you will not find a system better than ours. 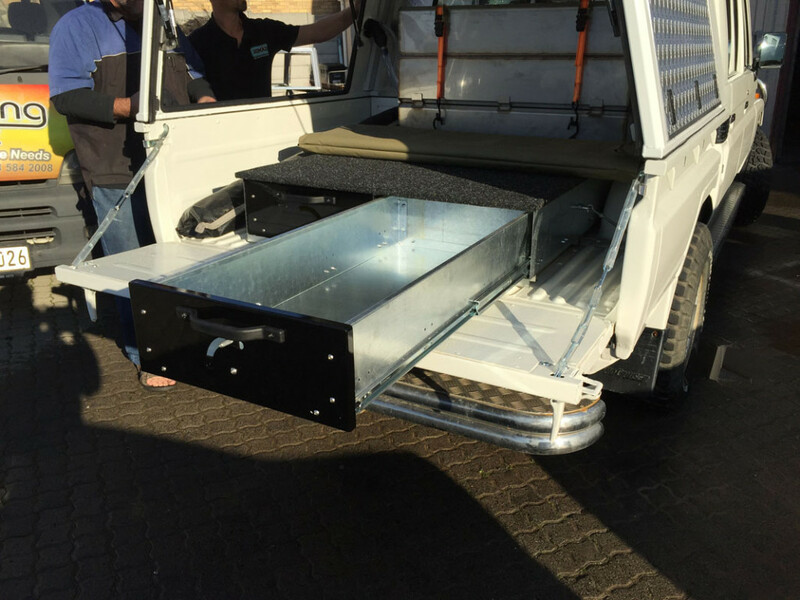 Our standard drawer systems are made to fit inside the load bin of a double cab bakkie. But we also work around the design to make it fit inside any vehicle. It can be customised to fit your specific needs.